Vinegar-based barbecue sauces come in a wide number of varieties and most people who use and love these sauces are pretty militant about how they should be prepared. Some come with tomato, others with mustard, some are spicy hot while others are not. One thing for certain, a good vinegar barbecue sauce should give foods a tangy flavor. If you like that rich flavor then these are the sauces for you. This is the traditional Barbecue Sauce from Piedmont Region, in the western half of the Carolinas. This region is pulled pork country, and this barbecue sauce was made specifically for that smoky pork meat. While this sauce can and often is mixed in with the meat, it is more traditionally served on the side so that each person can add as much or as little as they wish. Traditional Southern Vinegar Sauces are thin and watery. This Southern Vinegar Sauce allows the meat (pork) to absorb the flavors without a heavy coating of sauce. This sauce gives the pork a buttery texture and a load of flavor. Classic in style, this vinegar sauce uses no tomato, making it very traditional. This pulled pork barbecue sauce can be basted on pork while it smokes, added when the pork is pulled. It adds that tart flavor that is perfect for smoked pork and is a recipe for success. Traditional pulled pork barbecue comes with the sauce on the side. You get the tartness of vinegar and a simple combination of flavors. If you want to kick up the heat of this table sauce, add some extra cayenne. Want a quick and easy way to make barbecue? Substitute chicken for pork. It smokes faster and is quicker to pull. This North Carolina barbecue sauce adds the perfect flavors to make smoked chicken into Carolina-style barbecue. This recipe from the late Rev. Frank Purvis of Hassel, North Carolina is an excellent sauce for pulled pork. 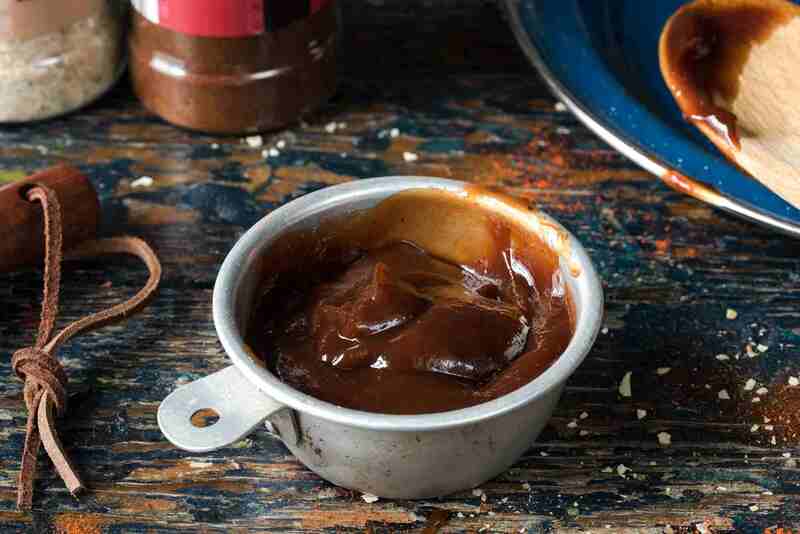 This recipe for Tar-Heel BBQ Sauce makes a large batch of sauce, but it keeps well in the refrigerator for several weeks. This vinegar-based barbecue sauce based on the recipe used at Wicker's BBQ in Missouri. The savory combination of spices makes this a perfect barbecue sauce for pulled pork or smoked chicken. This barbecue sauce from Cornell University's Farm Home Extension dates back to the 1950's. This sauce was designed to give chicken a kick and is the perfect barbecue sauce for any kind or chicken whether it is grilled or smoked. Harrison's barbecue sauce relies heavily on the vinegar but adds in some mustard and tomato to make this the perfect sauce for everything. This sauce is spicy and ideal for the person who wants some "hot" barbecue.